Overall Rating Unlike the DOCSIS 3.0 cable modems from Cisco and Texas Instruments, which are only sold to Internet Service Providers (ISPs), the Motorola SB6120 SURFboard DOCSIS 3.0 eXtreme Broadband Cable Modem is available in the retail channel. DOCSIS 3.0 is a game changer. 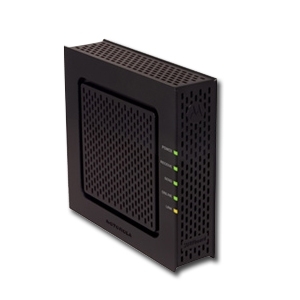 The Motorola SB6120 is the type of cable modem that allows DOCSIS 3.0 ISPs to offer innovative high-bandwidth data and multimedia services to customers. Because DOCSIS 3.0 supports channel bonding, which combines channels to create larger pipes, users enjoy more than 100Mbps for downstream as well as upstream data flows. 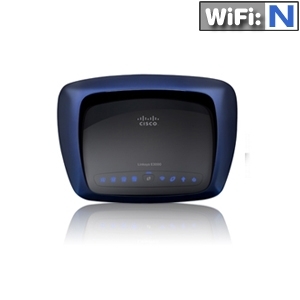 The overachieving Cisco Linksys E3000 High Performance Wireless-N Router from Cisco Systems seems to be identical to the Linksys WRT610 except for an easier-to-pronounce name and inclusion of the ?Cisco Connect? configuration utility that ships with its pure consumer-play cousin, the Cisco Valet Plus. Although the E3000 is best for those who already understand wireless routing and don?t need any training wheels, it does include features, design considerations and utilities that make it easy to use. Walmart doesn't carry this model in their stores although available online for $79. However they carry a lower model for $50. This may be sufficent. They also sell for the same price the whole comcast kit. You will need a windows laptop to install the wireless router. Because you will need to call comcast, give it a couple of hours before you can get online. The first time when you call they will ask you for the make and model of the modem. They will also ask you for the MAC number/address. It is on the side of the cable modem. Get a flashlight if you are working at night or low light conditions. once you give the details comcast will pretend they need to annoint the mac address through a ritualized queue through a cascade of managers. They will ask you to call back in an hour. Do call back. It is lot simpler to have comcast configure the modem. When you call back they will ask the same questions again, make more pronouncements of the importance of initializing the modem. They will take a few mintues to set this up. They may ask you disconnect the router from the power supply. After this you can access the browser. simple enough. You connect the co-ax cable to the modem and power supply. That is all. The router comes with a CD. Install the CD on a laptop. The software then tells you how to connect the router to the power supply and connec the ethernet cable from the router to the modem. You can connect the router and the modem even though the modem is still not functional. Then the router software on your laptop will try to connect and will report that it is failing. This is the point when you want to call the comcast for registering the modem. At thsi time sit and wait for an hour. Get through comcast and have them do whatever is necessary and give you a green signal. Now if you invoke the router installation software again from your laptop it will acquire the connection and let you connect. you use the same installations software to setup a password and change the default wireless network name they have. The default network name is Happy Panda. Not sure if they change this name randomly. on a 12mbps contract I am getting 8mbps through the router. the tech seem to think one can have a contract with comcast that is 22mbps and 50mbps etc.